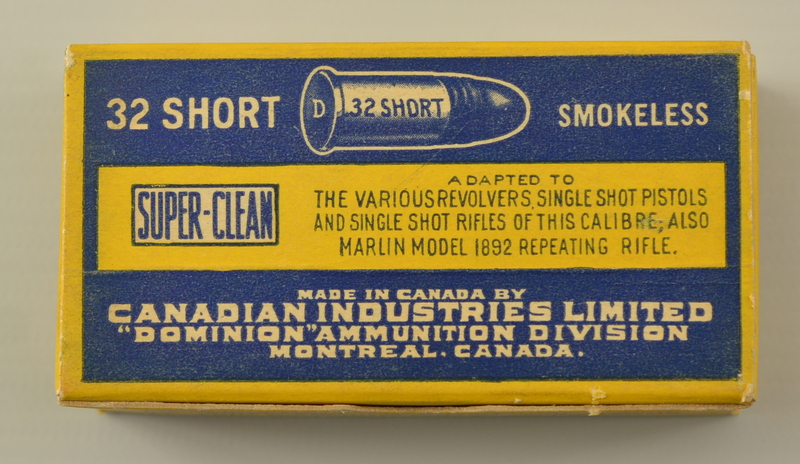 CIL Reference Collection Box 22 Short RF. Description: Mintish Cil reference box from the cil production reference collection. 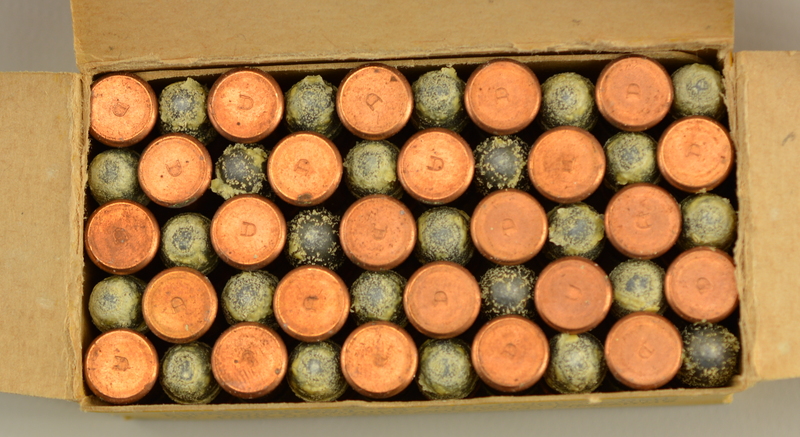 The right end is ink stamped 1945 in 2 places . 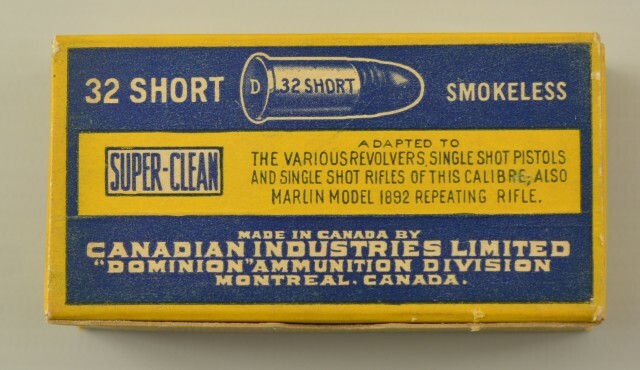 The top shows the cartridge graphic and the call out for the various single shot pistols and rifles as well as the marlin 1892 repeater. 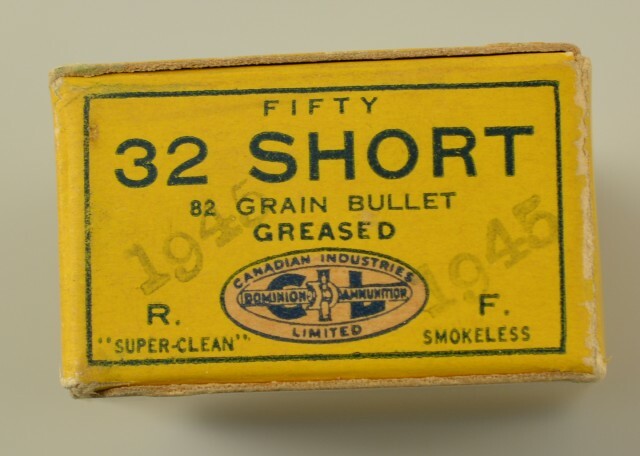 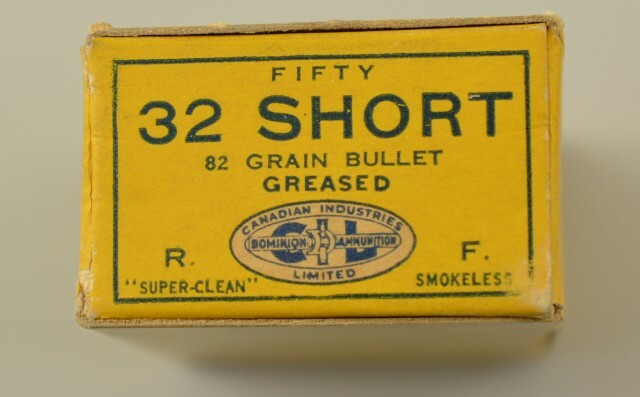 Both box and cartridges rate as new with greased bullets showing normal age. 1945 was when the commercial ammunition production returned following WW2.